She's not known for wearing loads of jewelry, but the Duchess of Cambridge has been sporting one special piece from an equally special family member. 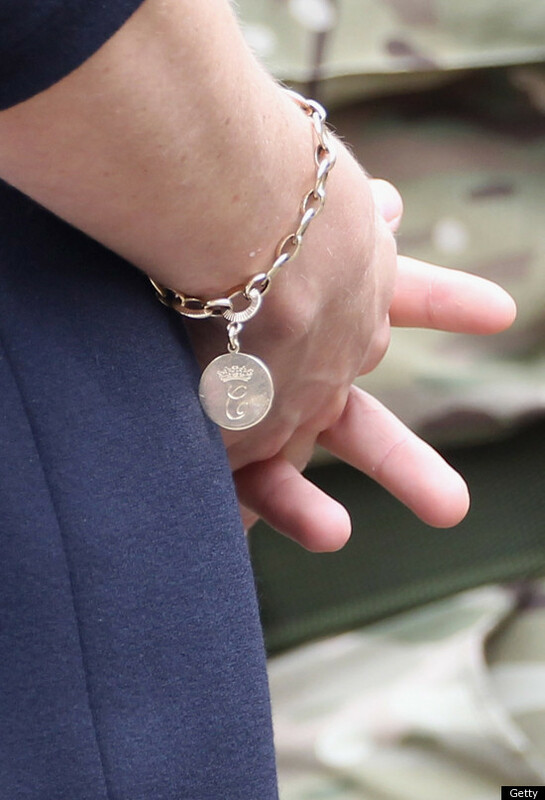 The Daily Express revealed that the new bracelet with the circular hanging charm on Catherine's wrist is a gift from her step mother-in-law Camilla, the Duchess of Cornwall, with whom Catherine has grown quite close. 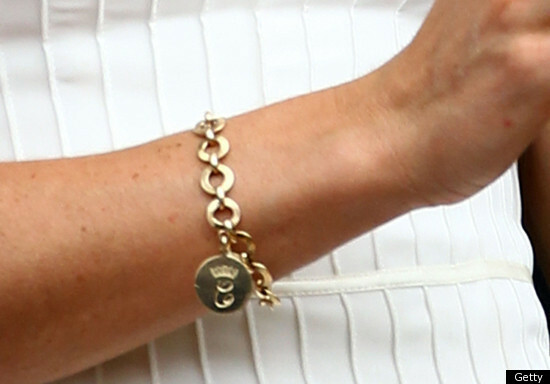 Although the Daily Express could only confirm the fact through an unnamed source that said that the bracelet was a "personal wedding gift" and therefore a "private matter," the proof is visible for all to see: on one side of the charm is a "C" with a curl, the former-Kate Middleton's new royal cypher, and the other side of the pendant features Camilla's royal cypher, a "C" without a curl. Busted! Looks like Kate's collection of family heirloom jewelry is growing by the day. Check out some pics below.